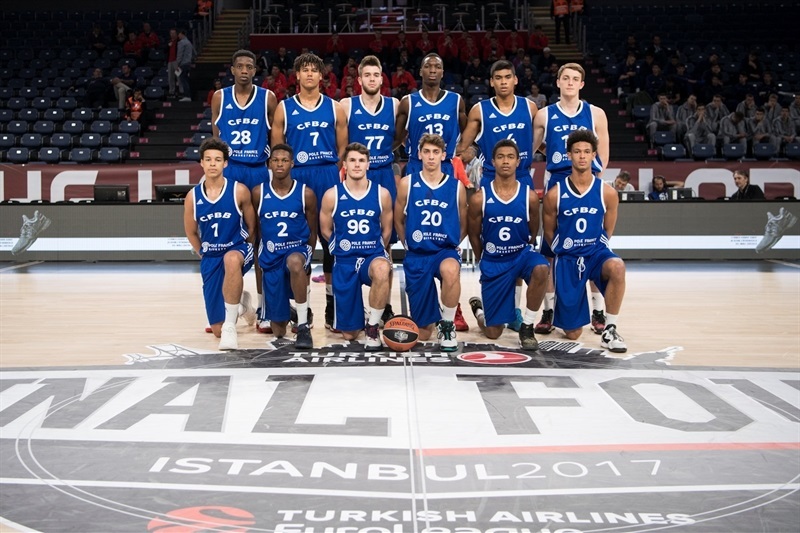 U18 CFBB Paris is the 2016-17 Euroleague Basketball ADIDAS NEXT GENERATION TOURNAMENT champion after defeating U18 Mega Bemax Belgrade 65-58 in the championship game on Sunday morning at Sinan Erdem Dome in Istanbul. 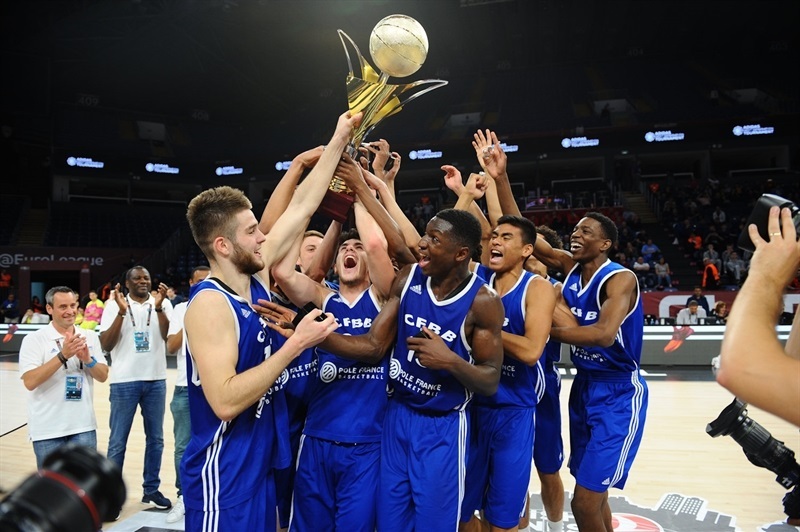 It is CFBB's second EB ANGT title after the 2010 event, which it won under its former name INSEP Paris. CFBB dominated the fourth quarter 24-12 to stage a come-from-behind victory. 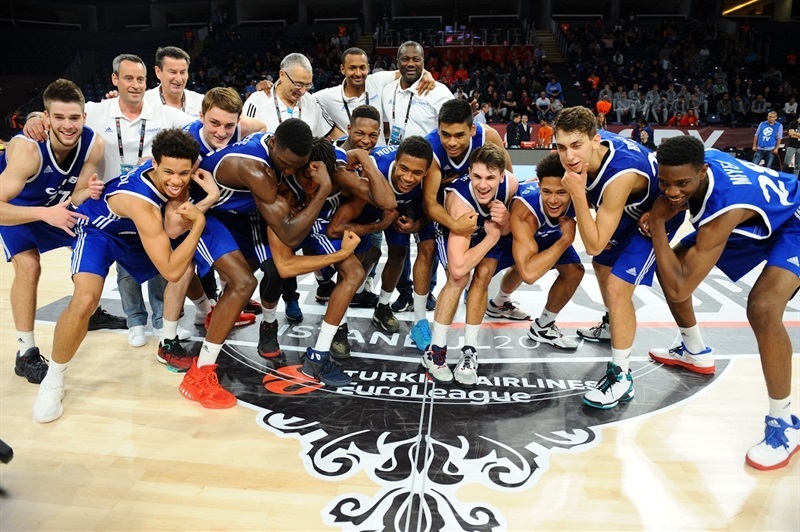 Ivan Fevrier led the way with 17 points, Yanik Blanc scored 15 and dished 5 assists and Theo Maledon added 13 points for the new champs. 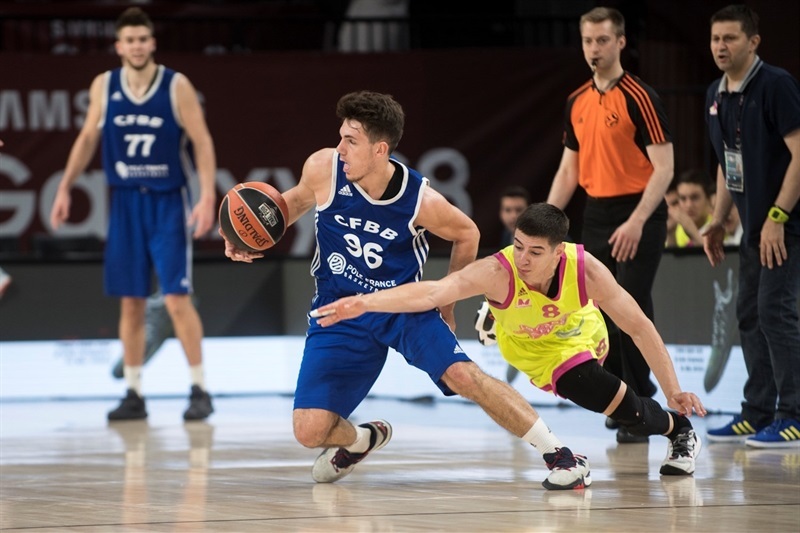 Goga Bitadze dominated inside for 17 points, 20 rebounds and 5 blocks for Mega, which as a team outrebounded CFBB 28-45. However CFBB moved the ball well and totaled 22 assists and just 8 turnovers, while Mega turned the ball over 19 times. 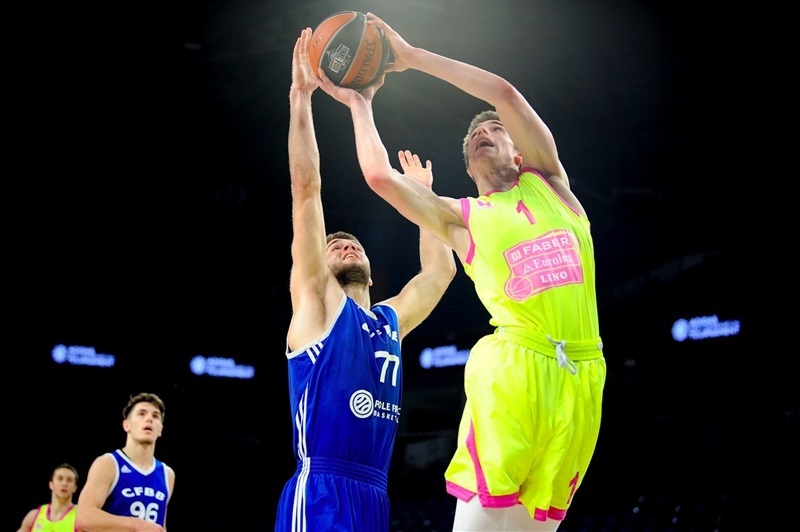 Nikola Miskovic added 15 points and Altin Islamovic had 11 in defeat. 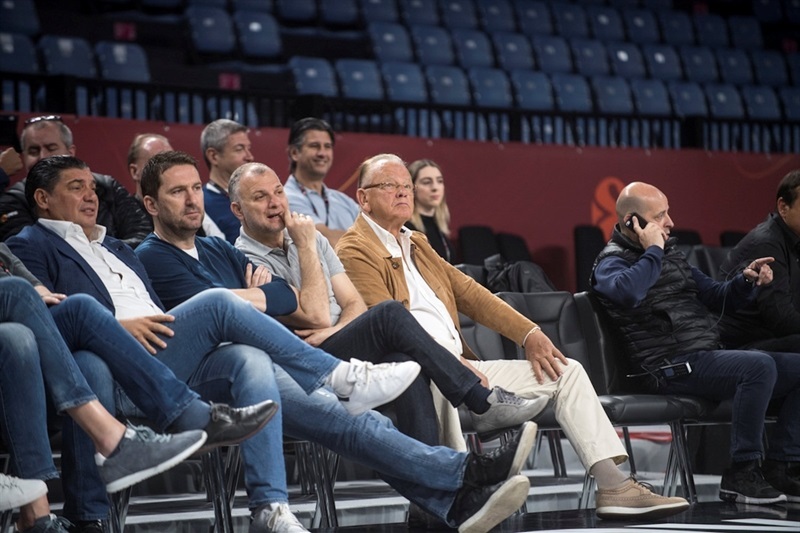 Blanc got CFBB going with a fast break layup but Miskovic bettered that with a triple and Bitadze added an acrobatic basket for a 2-5 Mega lead. 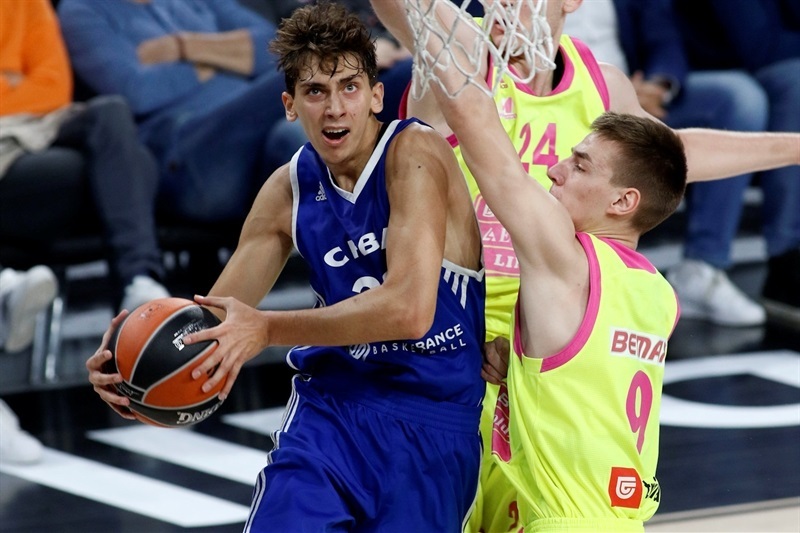 Bitadze hit a jumper and got help from Aleksa Matic and Miskovic to boost Mega's lead to 6-13. Sofiane Briki struck from downtown, igniting a 13-0 run in which Fevrier and Blanc combined for seven points to give CFBB a 19-13 edge. 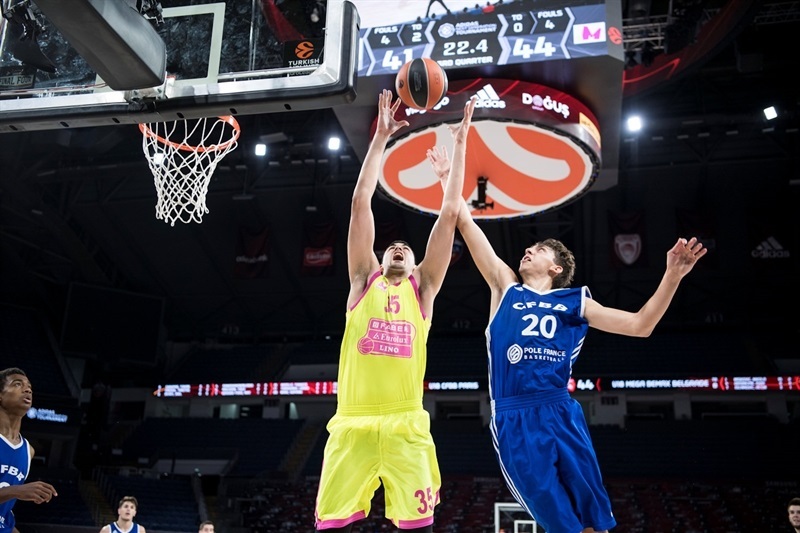 A layup by Bitadze and dunk by Miskovic brought Mega within 19-17 after 10 minutes. CFBB made its opponent go scoreless for almost six minutes. 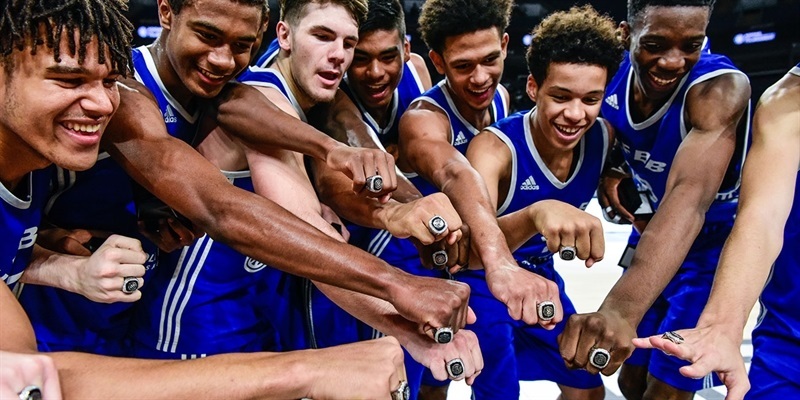 Meanwhile, Fevrier had six points in an 11-0 run which Maledon capped with a three-pointer, making it a double-digit game, 30-17. Mihailo Jovicic had five points in an 0-8 run that brought Mega within 30-25. 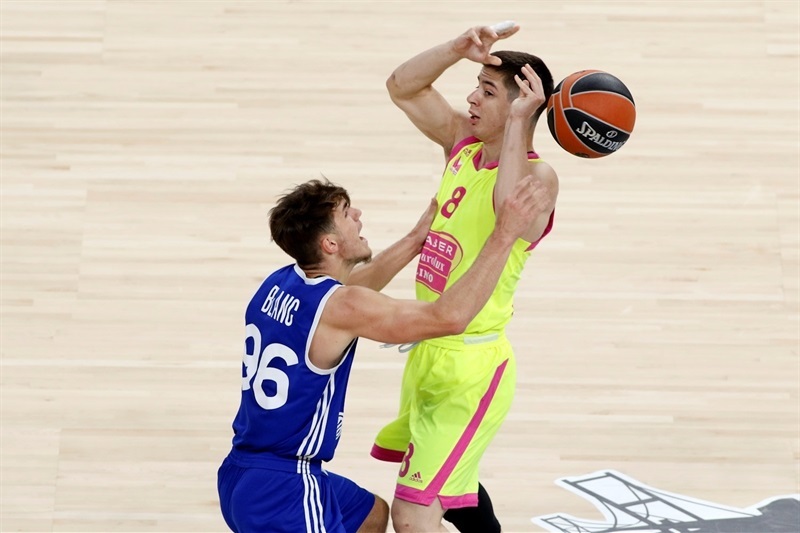 Blanc buried a rainbow triple but Jovicic and Bitadze kept their team within 33-28 at halftime. 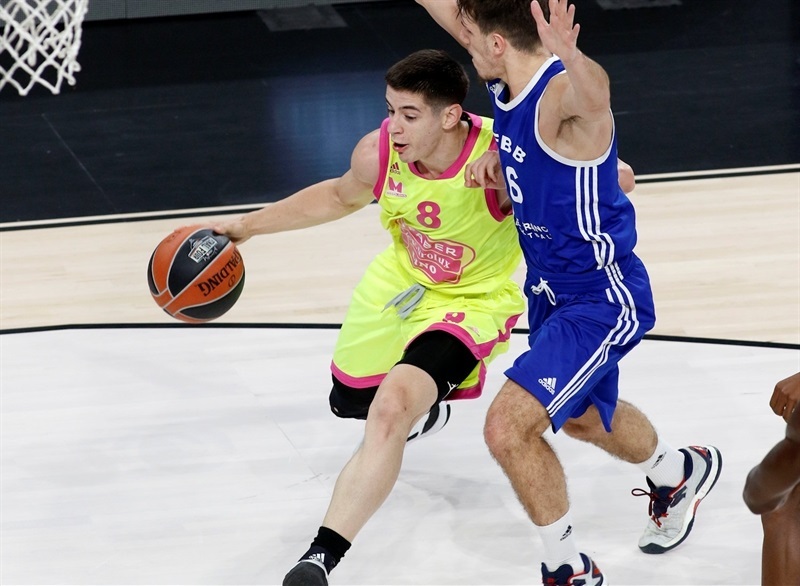 Fevrier and Maledon scored around the basket soon after the break but Miskovic and Bitadze fueled a 1-16 run that Jovicic capped with a layup, good for a 38-44 Mega lead. 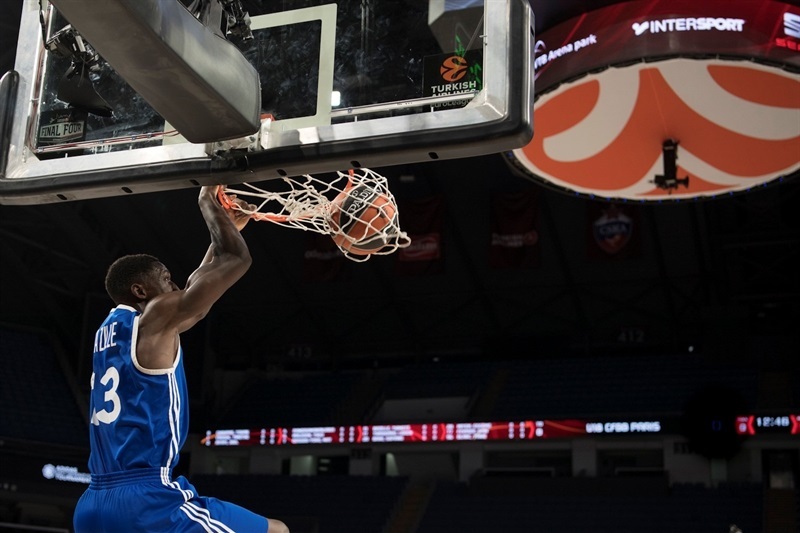 Maledon hit a three-pointer but a put-back layup by Bitadze fixed the score at 41-46 after 30 minutes. 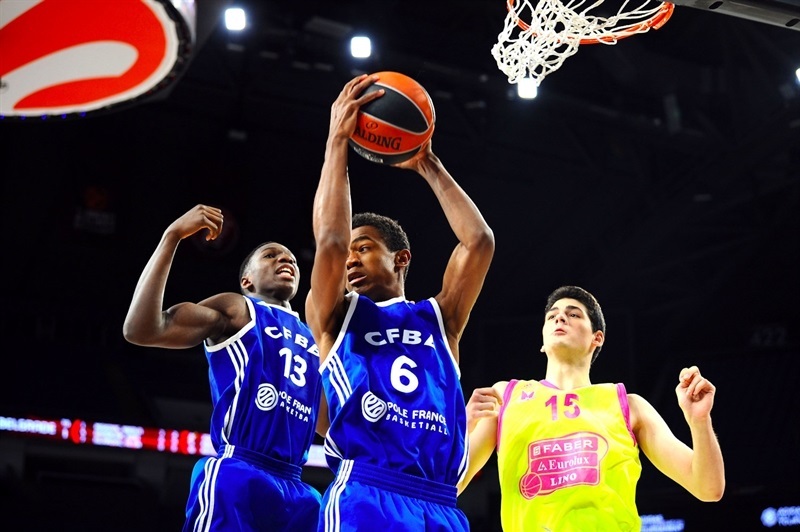 Islamovic followed a layup with a jumper but Timothe Bazille and Fevrier kept CFBB closer, 45-50. CFBB found a go-to guy in Briki, who struck twice from downtown in a 12-0 run that put his team ahead for good, 57-50. 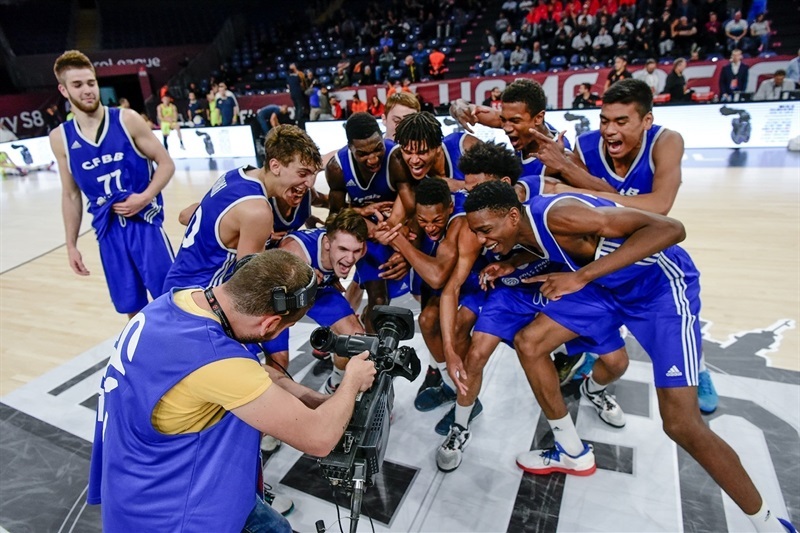 Islamovic and Bitadze tried to change things for Mega but three-pointers by Maledon and Blanc seemed to seal the outcome, 63-54, with three minutes left. 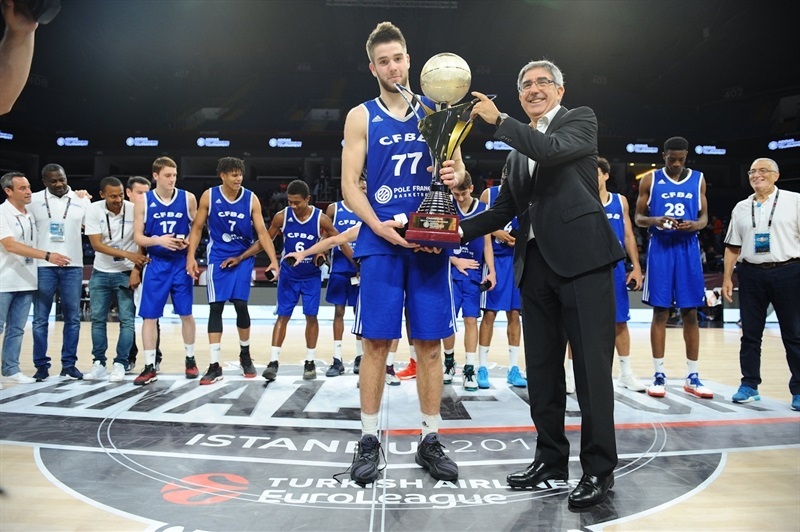 An Islamovic jumper made it a 5-point game, but Mega went on to miss its last five shots and Fevrier’s jumper in the final minute wrapped up the win.